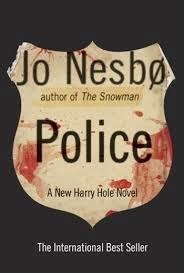 Police is #10 in Nesbø's wonderful Harry Hole series, and by golly, it's a winner. I have read all but The Bat and Cockroaches from this series, but I don't know whether or not my guts have ever been so twisted while reading any Nesbø novel prior to this one. The suspense tempted me so many times to turn to the end, but to my credit, I didn't cheat. From the very outset, the author delights in playing with your head. In a guarded hospital room, a man is laying in a coma. While he's hovering between life and death, someone is luring members of the Oslo police force to their deaths. The victims seem to be connected to old, unsolved cases, and they die in extremely terrible ways on or near the anniversaries of the crimes. Harry's old friends on the Oslo police force are stymied ... there is very little in the way of clues or forensics left behind, and the police are under a great deal of pressure to do something about these murders before any more policemen get killed. They're also under pressure from Harry's nemesis Mikael Bellman, the current police chief, to get the cases solved because he has ambitions, and taking credit for solving these murders will help him move up the political ladder. The team goes behind Bellman's back to try to stop the killer from striking again, but things get really ugly when when a particularly brutal murder hits very close to home. Around this central plot, which ultimately focuses on the search for justice, there's much more going on. A particularly nasty suspect gives the police a run for its money; police burner Truls Berntsen and his crony Mikael Bellman are up to their old dirty tricks once more and through it all, things get really twisty as the book comes to a startling conclusion. I swear -- for once it was me, rather than the characters, who became angst ridden over how this was all going to play out -- my insides were churning waiting to see a) who the killer was and why he/she did what he/she did and b) how much nastier Bellman and Berntsen could possibly get while continuing to manipulate things behind the scenes. And through it all, you will be kept wondering and guessing. I don't care what anyone says, I LOVED this book! I know I say this a lot about Nesbø's books, but this just might be my favorite of the entire series. It is twisty and turny, frightening and unrelenting in the tension it managed to produce in my insides, and it is truly Nesbø at his writing best. If you're new to the most excellent work of Jo Nesbø you may wish to start at the very beginning and make your way forward through the series, as each book builds on what comes before; if you don't want to take that much time, at least read the novel prior to this one, Phantom. Highly, highly recommended! I am so tempted to toss out my TBR planned schedule, ignore the TBR mountains around here, and just dive into Police. I have read good reviews of it at Crime Scraps and elsewhere. I don't know if I'll read Phantom first though. I haven't read all of Nesbo's books, only The Devil's Star and Nemesis. The latter was one of the best thrillers I've ever read -- just brilliant in my opinion, even had social issues in addition to two investigations and a Roma gangster in jail with whim Harry Hole was playing mental chess. No no no no no! You have to read Phantom before this one -- I can't say why but trust me on this one! I think I know why you're saying to read Phantom first, perhaps because of Harry Hole's condition at the end of the book, which has been written about in reviews. OK, if the library has Phantom, I'll read it. I would love to read both over the holidays plus Grisham's new Sycamore Row, which got a rave in the NYTBR, plus a pile of other interesting-looking books. 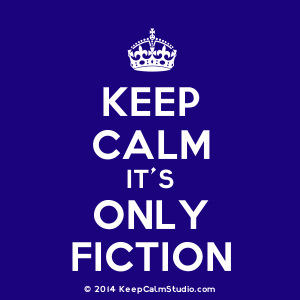 I've got a Liza Marklund, Anne Holt, Strange Shores, which you also recommend, etc. I'd like to lock the door, order food delivered and read for two weeks. Perhaps this could happen. Good! You must read Phantom. I have often been tempted to take a week and do nothing but read and sleep. How cool would that be!